Toronto-based Just-Eat.ca has launched its iOS app to allow users to order food straight from their iPhone across 160 towns and cities in Canada from Victoria to Halifax. Full Postal Code Search: a geo-targeted selection of restaurants available to a user in their vicinity. Restaurant List: a sortable list of businesses and their corresponding current status – open, closed or offline. This can be sorted by best match, the alphabet, or rating, and filtered by cuisine. Restaurant Information: a rating, user reviews, postal code, offers &/or discounts, menu, menu categories, and more are displayed. Basket: review and modify the contents selected for purchase. There are also additional tips and offers such as ‘buy more to save money’ or ‘more needed for minimum’. Check Out: log-in or register as a new user, enter confidential delivery information and payment method (cash and 100% completely secure transactions, including credit, debit, etc.). Order Status: the source for order information, including a button to call the restaurant and a help button for JUST EAT Canada customer support. Despite its growing reach, Masse told the CBC the business is not profitable yet due to its heavy investment into marketing. The service is free for customers but restaurants pay a commission of roughly 10-15% on each order depending on location. Since 2009, over 2 million orders have been served with the site gaining on average 30,000 new users each month. Since this March, the site’s restaurants have increased to 3500 compared to 1900 back in March, with goals of reaching 4500 by year’s end. There are currently 3500 restaurants online with the company in major cities like Toronto, Vancouver, Calgary, Montreal and Ottawa. The Canadian arm is part of the Just Eat Group founded in Denmark in 2000, but now headquartered in London, UK and is in 13 other countries worldwide. 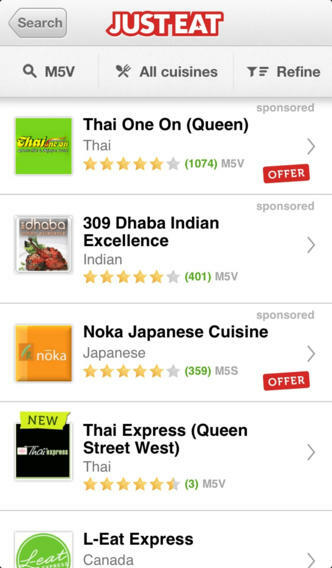 Click here to download Just-Eat.ca for iPhone–it’s free. 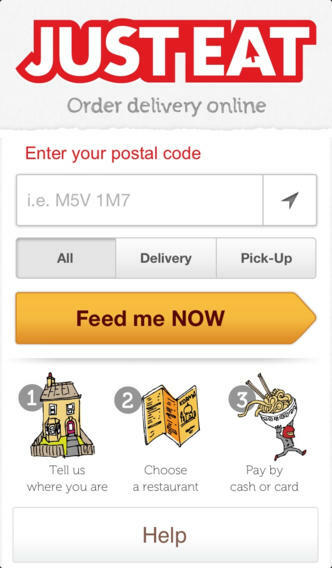 Let us know if you’ve used Just-Eat.ca before.